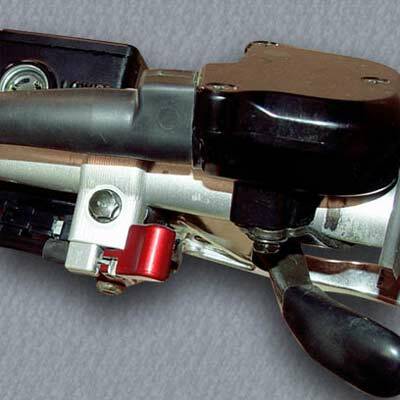 Dubach Racing's Reverse Lever allows the rider to access the reverse gear without so much as eye contact. 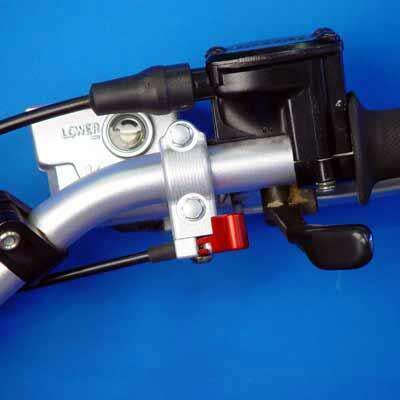 The lever is thumb actuated and conveniently located to facilitate a quick direction change. Completely machined out of billet aluminum and anodized red, this is a perfect addition to your ride. 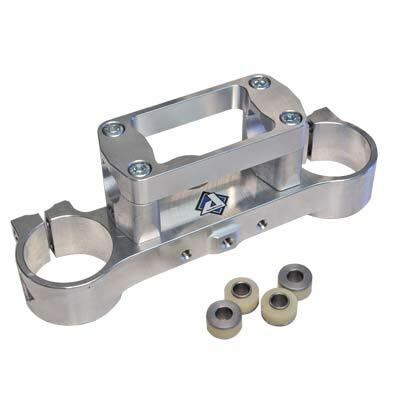 Fits 03-06 KFX400 and 03-08 LTZ400.